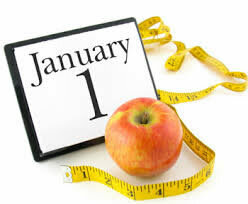 So, for the fifteen-hundredth year you’ve resolved to lose weight as a resolution for the New Year. You already see Einstein smirking, while saying something about the definition of insanity. You’ve heard it all before and frankly are quite skeptical. You are off to a great start on celebrating yet another year of weight loss passive-aggression… er good intention. Just then, a radiant face-palm is delivered to the cynical scientist, as before you appears an array of exercises, foods, and curious gestures, the likes of which you’ve never seen, presenting itself as Chinese medicine. Surely, you think to yourself, this is NOT the same old thing. If the refrain of proper eating and exercise ring hollow for you because you’ve tried them to no benefit or if you know something is missing from your efforts to lose weight then Chinese medicine can offer the solution that is right for you. Sometimes, what is getting in the way is emotional, sometimes it’s a matter of the right food, sometimes it’s your metabolism, still at other times it’s not just exercise but the right one. The goal of Chinese medicine is to balance the body, a process that occurs best when assessing how the body is imbalanced to begin with. For the seasoned weight-loss cynic, invariably a part of the process involves removing the emotional baggage that accumulates from repeated failure. Sometimes, the biggest block is emotional, but not always. Through the holistic diagnostic process offered by Chinese medicine, a tailored plan can be devised for you to make this year’s resolution one that you can honor and keep.